The Board of Trustees have created a survey to collect information regarding priorities and values toward affordable housing, to help guide decision-making. The survey has been temporarily reopened through Tuesday, July 12 at noon. 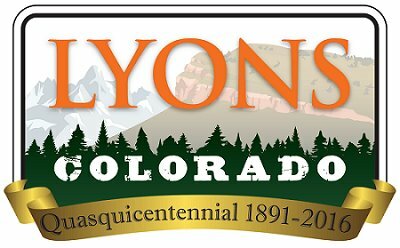 The Town of Lyons is committed to diversifying its housing stock and restoring the affordable housing lost in the 2013 flood. Affordable housing has been identified as a priority in the 2010 Comprehensive Plan and also in the Lyons Recovery Action Plan. “Affordable housing” refers to housing options that people earning less than 80% of the area median income for Boulder County can afford. All responses to this survey are anonymous and will be reported in summary format. The survey should take about 5 minutes of your time. Management: Significant afternoon fire runs have pushed the fire over yesterday's retardant lines, putting additional subdivisions in immediate danger. Crowning, torching and spotting are common. New fire perimeter has stretched ground resources, making current air resources critical to success. Fire has spread over roads previously used as escape routes, further limiting tactical options. Predictions for fire growth indicate the potential for significant structure and infrastructure loss, along with closures of two adjacent state highways. Open burning and the sale and use of fireworks is prohibited in all of unincorporated Boulder County.